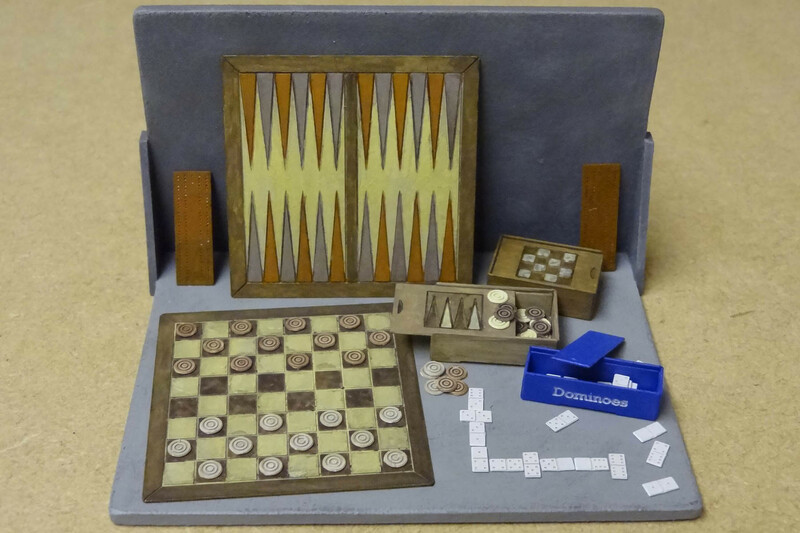 Welcome to newsletter number 3 from Severn Models! I can hardly believe it is now over 2 years since Severn Models was created, and that time has really flown by. 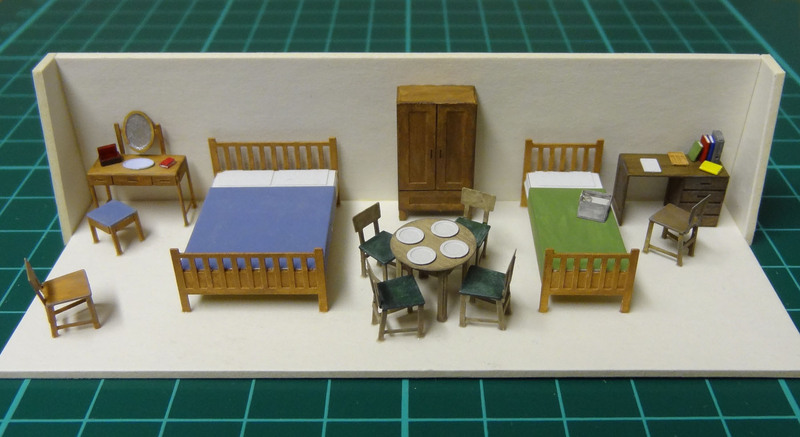 My first model railway exhibition featured 11 kits for N gauge, and 2 kits for OO modellers. I will shortly be creating my 67th tool and now have kits in 5 different scales, with more kits planned for the new year. Thanks for all your support and encouragement over these two years, and also to all who make suggestions or send in photos of your models, future kits are very much guided by requests and the popularity of existing kits. 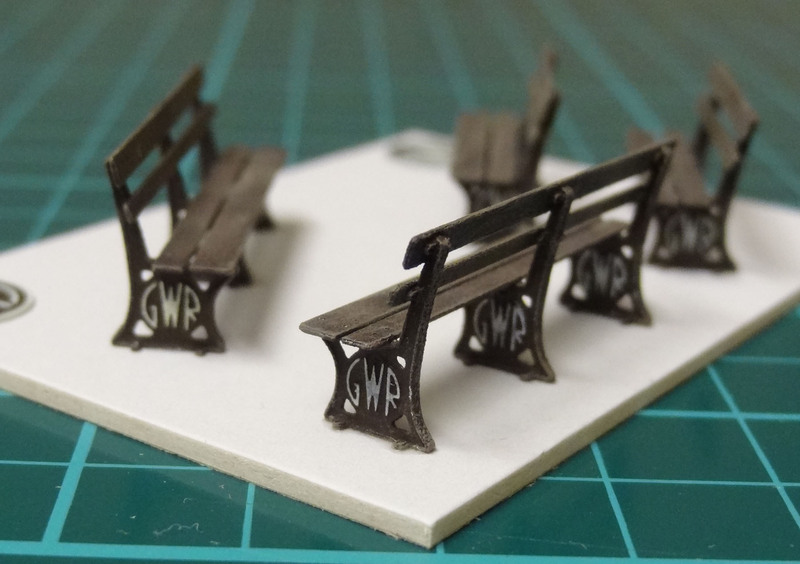 The recent addition of models in the larger scales has introduced some more makers to my kits - now there are a few kits suitable for larger scale / garden railway models, and for 12th and 24th scale dollshouse & miniatures model makers. I have found it very interesting creating kits up to 1:12, as there is such a high level of detail required to give realism to the model. 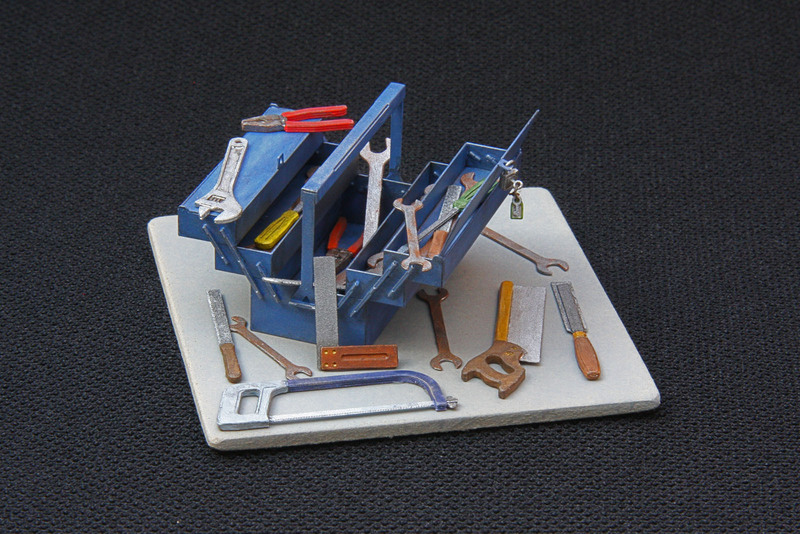 It is quite the contrast to make tools at 12th scale, then make some more that are 12 times smaller....! The new Cantilever Toolbox kits are a lot of fun - they can be dry assembled without glue so the hinges and pivots work just like the real thing! I have just added a drop of superglue to the handle to keep it firm. 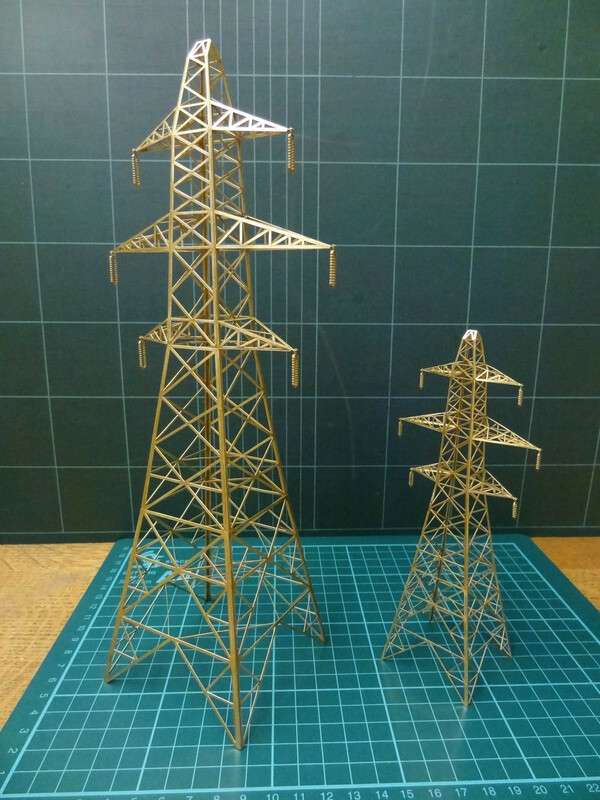 These are available at 1:12 and 1:24, though will scale realistically at a few other ratios too - the dimensions are listed on the website if you need to work out size at your chosen scale. 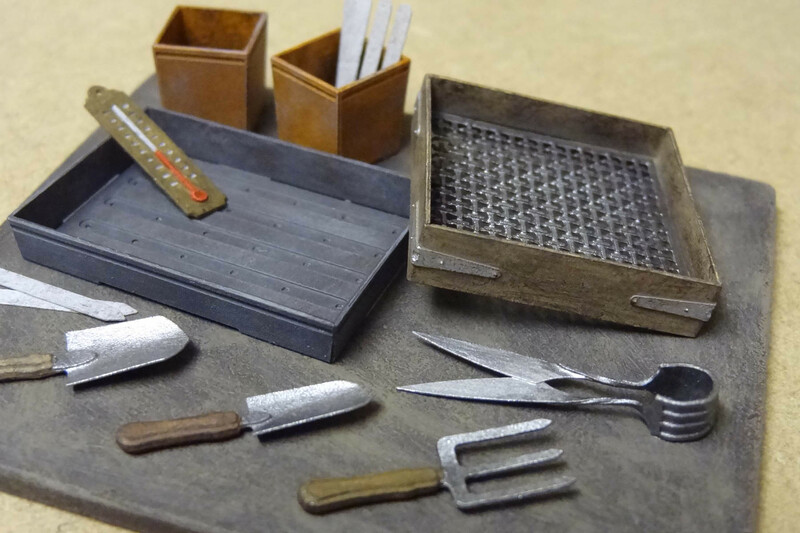 Alas no tiny hand tools in the small scale tools - but there are a good number of other goodies in the kit : wheelbarrows, shovels, pickaxes, hammers, spades, benches, shelves, boxes, plantpots, and seed trays. 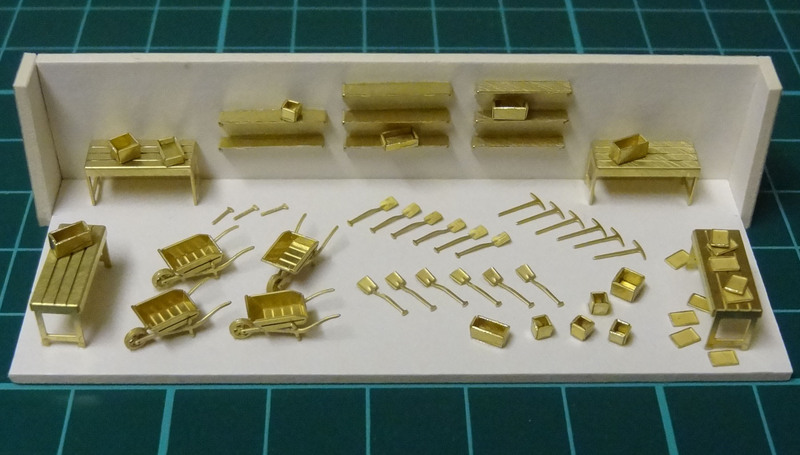 The advantage in the small scales is of course you can get a lot of components in a relatively small piece of brass. 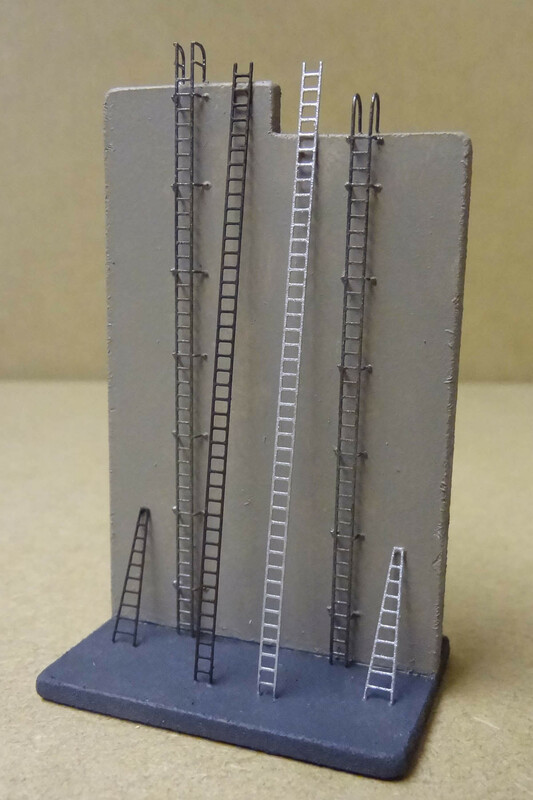 Also recently added are the ladders kits - tall ladders are now in two scales. 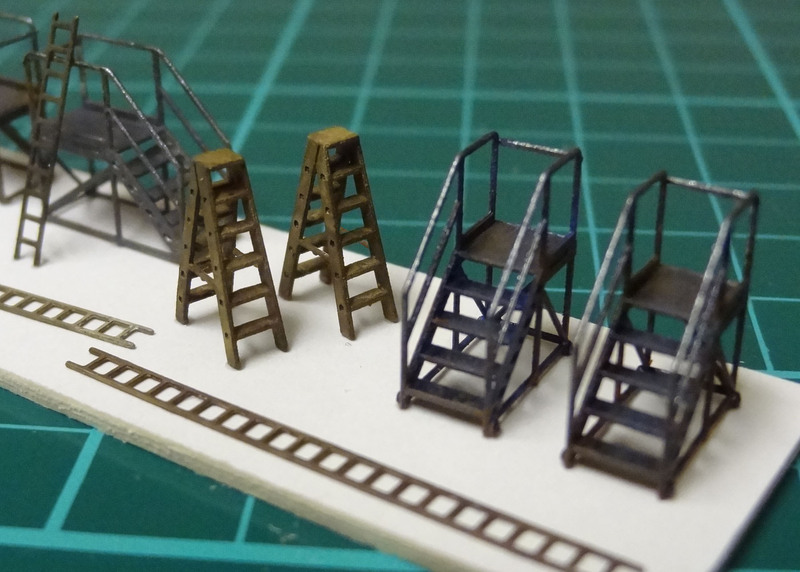 The work platforms kit is for N gauge layouts, with a 4mm version planned for the future. Two of the new kits are train sets - originally modelled as toy trains at 12th and 24th scale, they would also represent trains in other scales, depending what scale you work in! 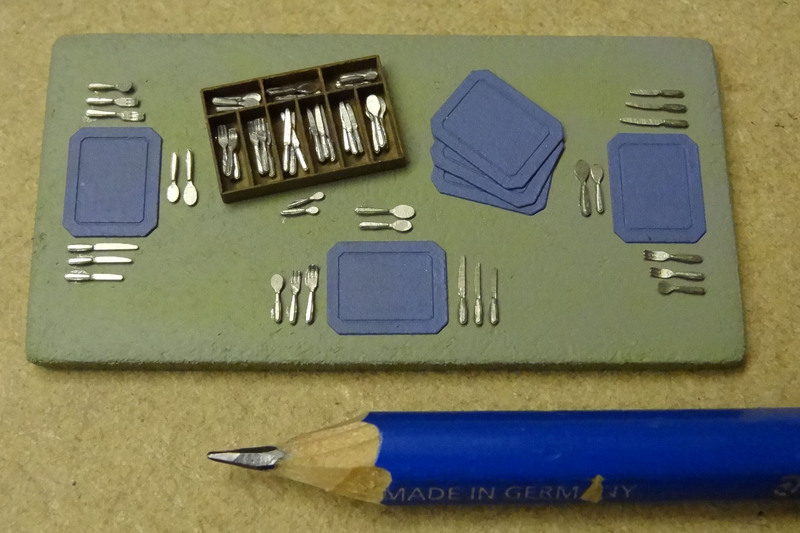 The track gauges are 4mm in the 12th scale kit, and 2mm in the 24th scale. 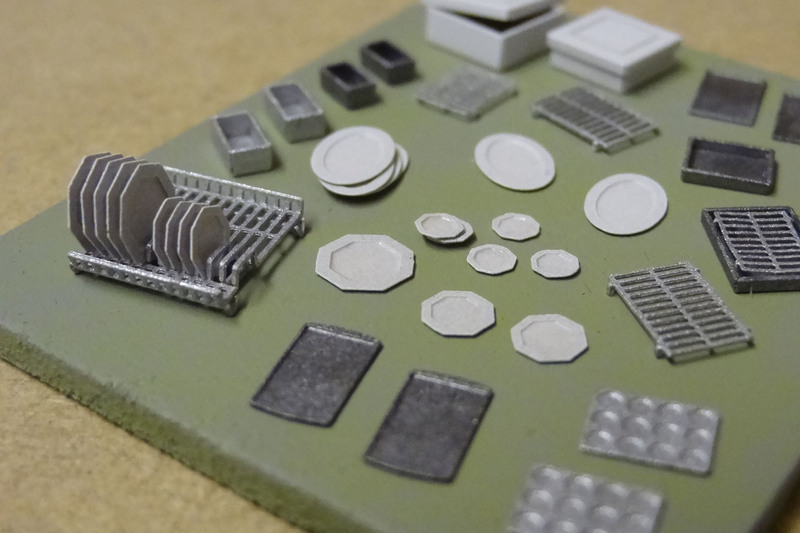 I will let you work out for yourself what scales these represent in your scale, but there is potential to use them as a garden railway within your model rail layout! There are other new kits too, a few too many to show them all here so if you haven't visited the website recently, then you may wish to take a look to see what's new since your last visit www.severnmodels.com In the event that a kit goes out of stock, rest assured that new stock is in progress, and only about 2 weeks away. International shipping is available on the website, just proceed into the checkout and select the appropriate service for your location to see the costs before completing the order. The Exhibition Calendar page has been updated recently and lists shows I am attending in 2017 - there are a few more to add but I am running out of weekends! Have a look to see if I am in your region, as it would be great to meet you at a show sometime. 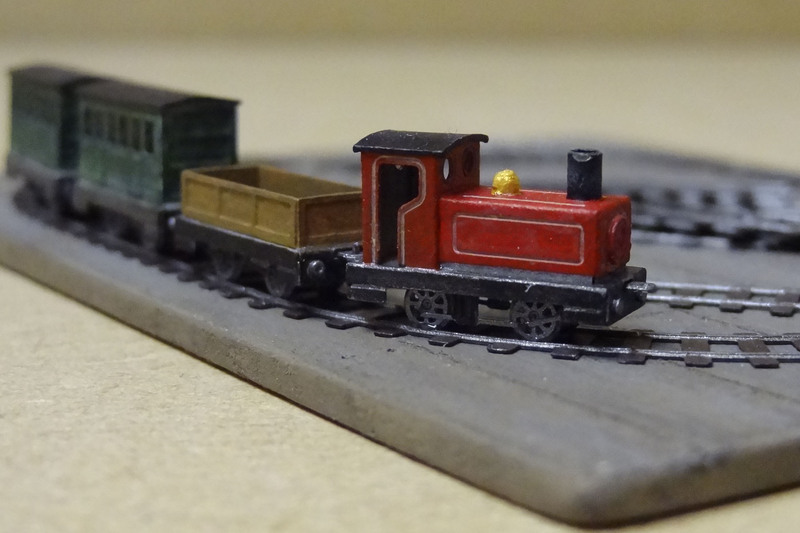 A lot of the shows are obviously model railways, but there will also be a few more dollshouse / miniatures shows too. There is still time to get a new kit for Christmas, either as a gift or indeed for you to make while recovering from eating too much! To catch the Royal Mail UK last posting date, please order by 20th December, but even that might be cutting it a bit fine! I wish all a Merry Christmas and Happy New Year - enjoy your modelling, and watch this space for more new kits over the coming months!